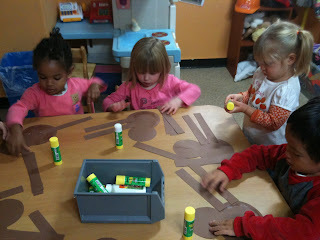 Early Learning Center Fun: Spiders, Spiders Everywhere! During spider week, we learned that spiders have 8 legs. We got very good at counting to 8. 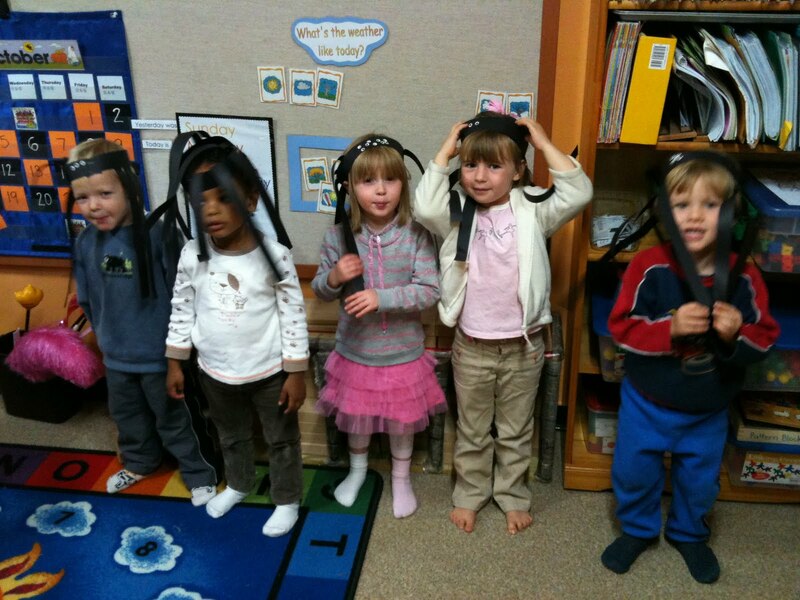 We made spider hats and each spider had to have 8 legs. 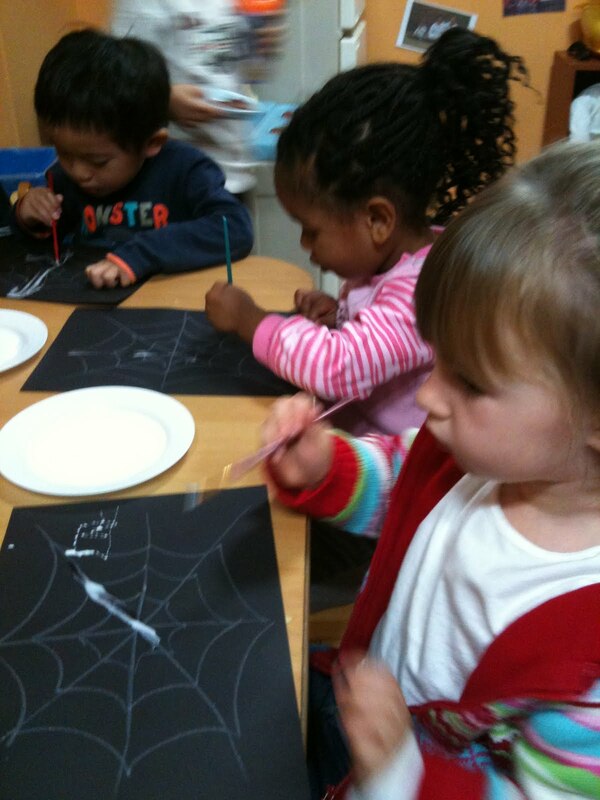 We also learned that spiders spin webs so they can catch bugs to eat for their dinner. We made beautiful spider webs one day. This is one of Mrs. Jennifer's favorite crafts. 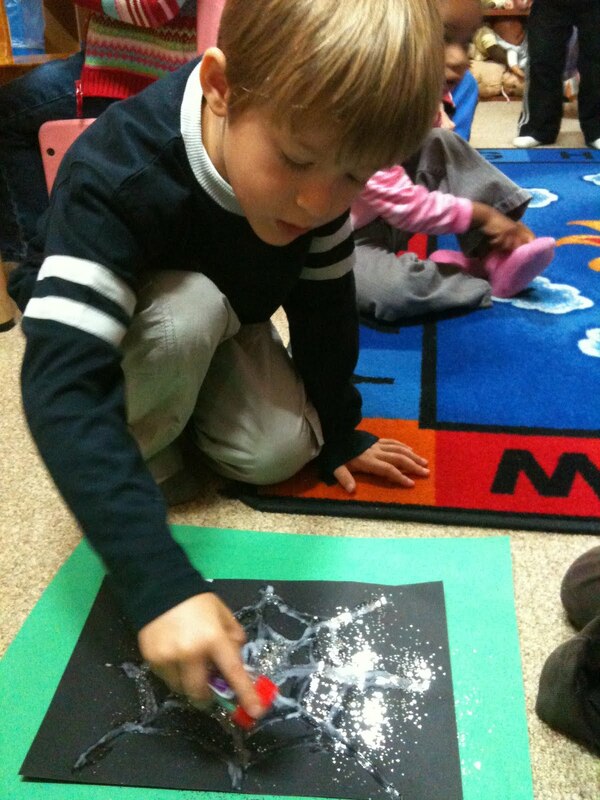 Mrs. Jennifer drew the web on the black paper with a white crayon and then each child had to use a paintbrush to paint the lines of the web with glue. After we painted our webs, we had to sprinkle the glitter onto the glue. Didn't our webs turn out so beautiful?! 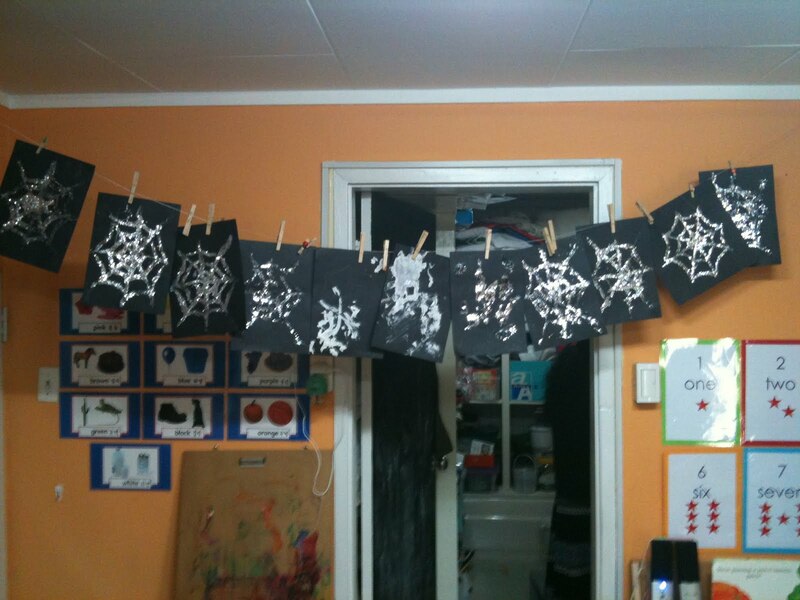 Of course, after we made our webs, we had to make spiders to go in them. 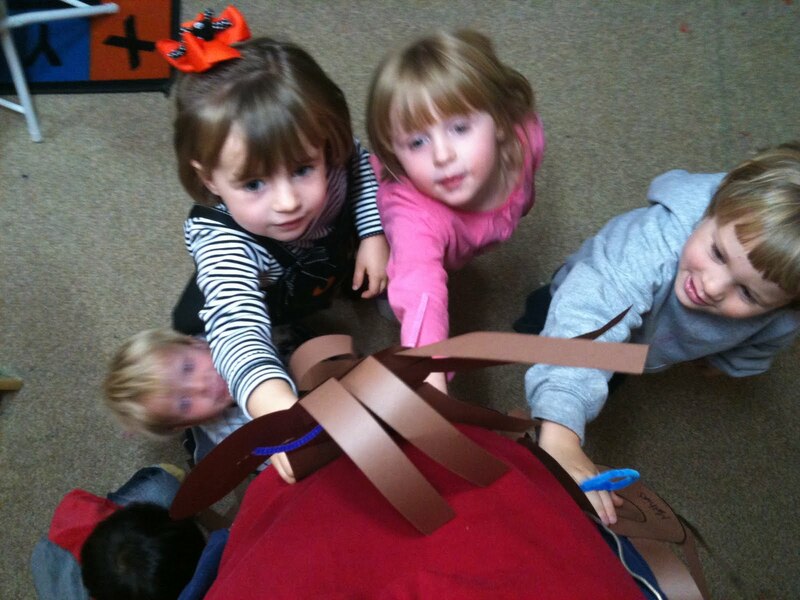 We used the number 8 as our spider body and glued 8 legs onto our spider. 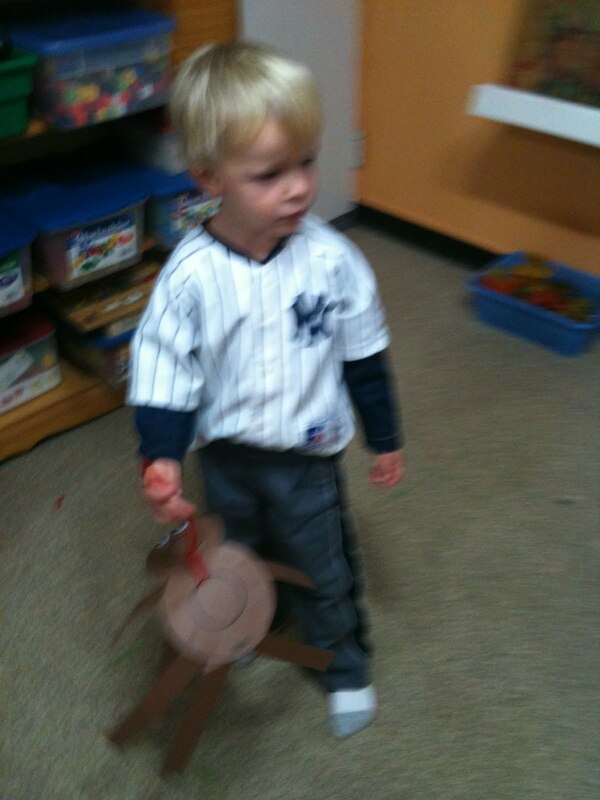 Mrs. Jennifer added a pipe cleaner handle so we could make our spiders crawl. 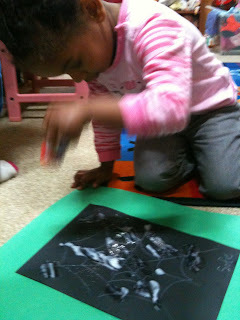 We made our spiders crawl all over the room. They even crawled up Mrs. Jennifer's baby belly!